Dharma, a well known religious term hits your mind with different answers every time. Half of the world’s population believes that the term dharma is associated with religion’s customs and beliefs. The definition of Dharma varies from religion to religion, person to person and belief to belief. That’s why obtaining an adequate explanation for this term cannot be certain. There are various kinds of religions that states about the significance and objectives of Dharma. Hinduism and Buddhism are one of those religions where its significance is at peak. Dharma in Buddhism is one of the essential factors of preaching. Great Buddha himself has preached about its significance and implications to his followers. In Buddhism, dharma is considered a medium of acquiring salvation, the mean of knowing reality and reaching to the enlightenment of soul. Their beliefs and knowledge is somewhat alike as well as different than other religions at some point. According to Buddhism, term dharma has numerous meanings. This word is also one of the common Pali terms. If you are attending numerous Buddhism religion practices you will have to hear the word dharma or Pali quite often. It does not matter where you are whether sitting at any religious meditation center or gazing the wheel symbol of dharma. 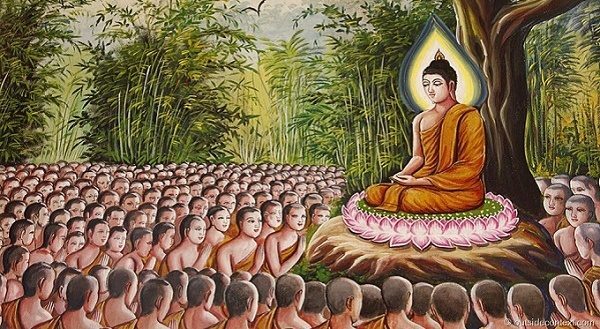 Dharma in Buddhism is following the preaching of Lord Buddha, the lessons and knowledge spoken by the saint to his followers are still being followed by the Buddhists. And the ultimate factor they generally believe upon is the experience phenomena. They believe on a fact which states that experience is the best teacher and best preacher! Hence, the role of dharma is a significant one on Buddhism. We may not say that this definition of dharma is correct as compared to the other beliefs respect to other religions, but the preaching and lessons that has been taught in this religion is quite reasonable and considerable as well.